Opening Lines: "Bobby had a big problem at school. Her name was Ms. Kirby. ROBERT!" Synopsis (from Amazon): A young boy named Bobby has the worst teacher. She's loud, she yells, and if you throw paper airplanes, she won't allow you to enjoy recess. She is a monster! Luckily, Bobby can go to his favorite spot in the park on weekends to play. Until one day... he finds his teacher there! Over the course of one day, Bobby learns that monsters are not always what they seem. Why I Like This Book: I love the big, bold, expressive, kid-like illustrations. As a teacher, I can totally relate to kids like Bobby (you will, too!). And remember when you were a kid and how incredibly awkward and just plain weird it was to see your teacher OUTSIDE OF SCHOOL? Brown captures that awkward moment perfectly. 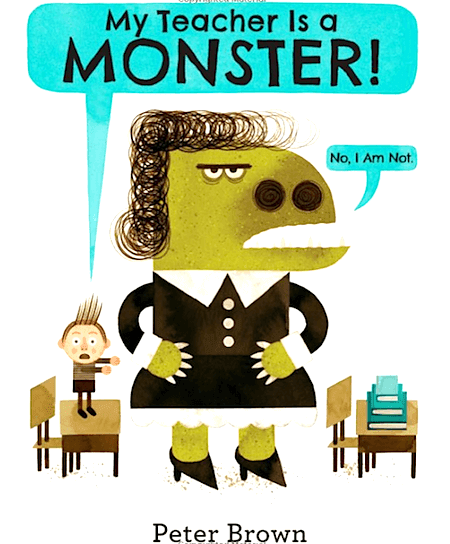 This book is perfect for talking about viewpoint (i.e., Ms. Kirby isn't REALLY a monster ... yes, I had to convince my own class about that one) and how the illustrations help tell the story (I think it's really cool the way Ms. Kirby gradually morphs from a monster to a real person). And I was her first recipient! And I had TOTALLY forgotten all about it ~ hence the surprise! If you would like to "Pay the Kindness Forward" to TWO other people, just let me know in the comments. If more than two people indicate an interest, then I'll use the random number generator to pick two. What will happen? I'll send you a surprise and then you need to pass on a surprise to two other people. 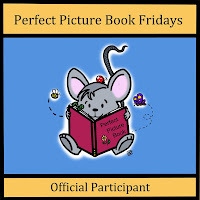 If you're looking for more fabulous picture books, please be sure to check out the fabulous Susanna Hill and her Perfect Picture Book linky. OH this sounds so neat! I would love to participate and pay it forward to someone else! Thanks for all the great shares!! The ideas you shared are monstrously wonderful. They'll bring some fun into the long winter months ahead of us! I love this book!!! And I love RAKs!! Thanks for sharing all the fun!! You're welcome, Rhythm. Thanks for visiting! 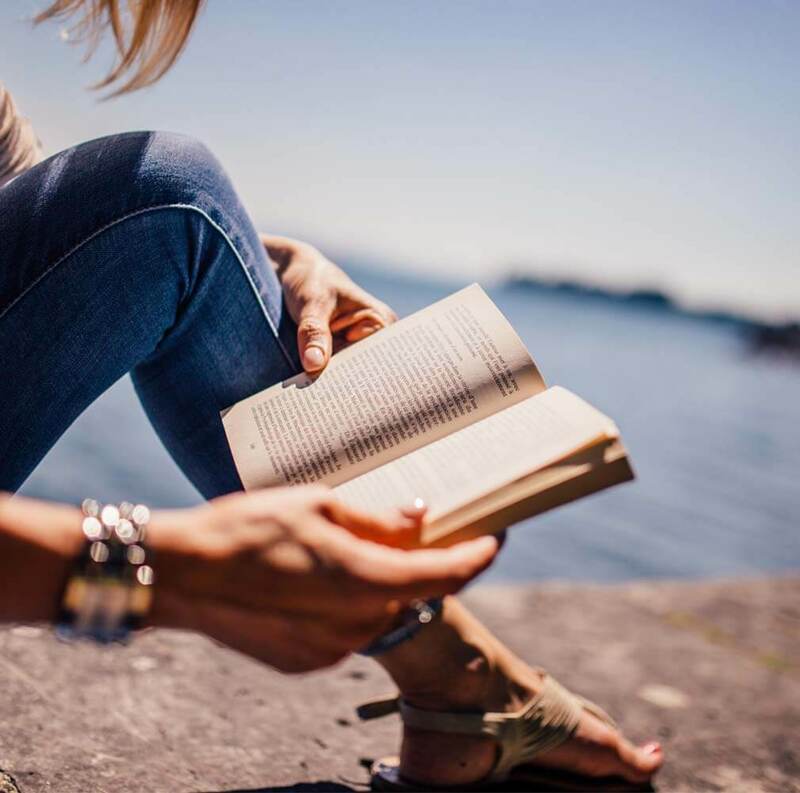 And isn't a book the best of surprise? Those monster hands look like fun. 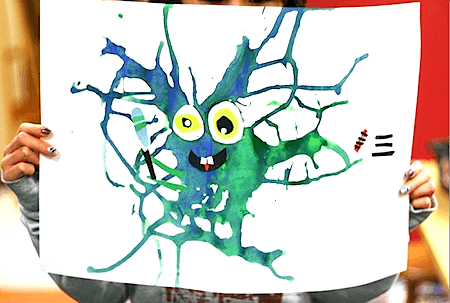 Love the drippy monster project! 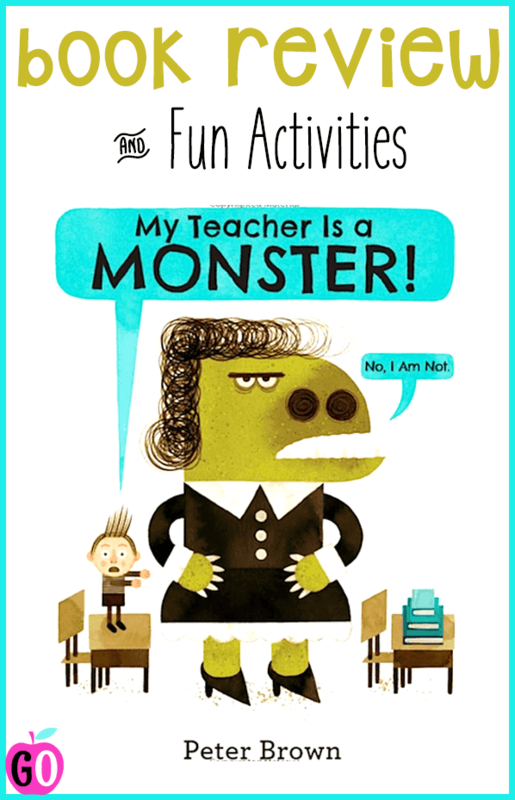 I was an elementary teacher, too, but I hope my students didn't see me as a monster. Actually, I've heard the opposite! Fun book. Thanks for sharing! Thanks for stopping by, Jarm! What a great book and super ideas you have shared, thank you!!!!!!! Thank you for sharing my monster hands! And, what a great surprise to get in the mail! What a nice surprise for you! The book looks so cute. 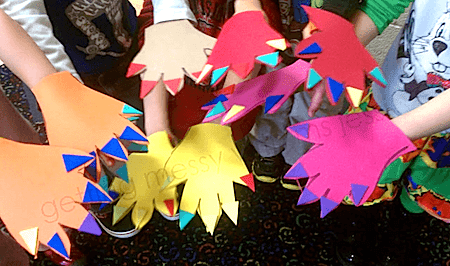 The drippy monster activity would be a lot of fun to do! Thank you for the ideas! You're welcome for the ideas! This is a cute book - especially meeting the teacher outside the classroom! 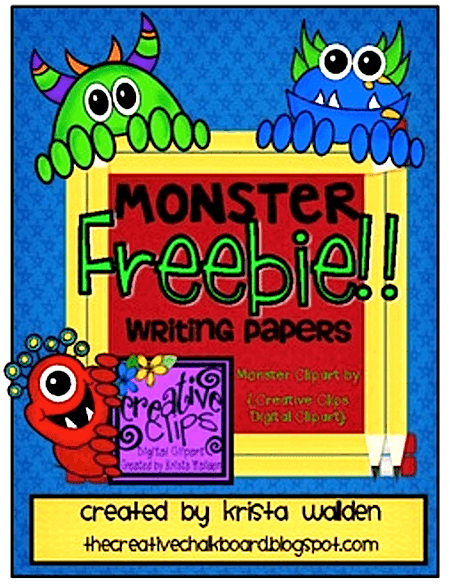 I love the creative monster ideas you included. thanks! You're welcome, Sue. Thanks for stopping by. Sounds like such a cute book. 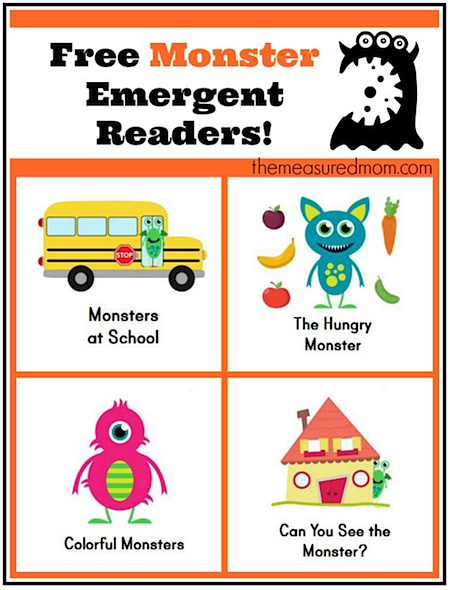 I love the monster pictures you shared too! Another wonderful monster book. 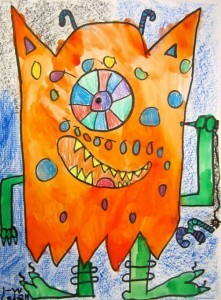 Monsters seem to inspire children's authors. I love monster hands. Fun Post! 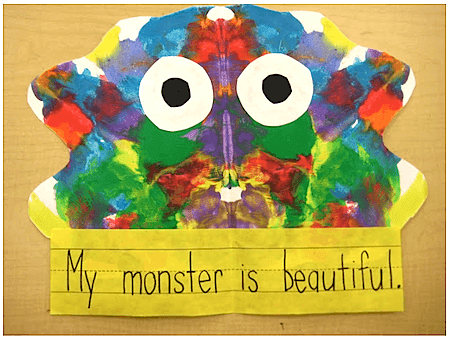 Love those Monster Hands...and thank you for sharing my Monsters in the Art Room!